Ingredients Spelled* 36%, vegetable broth* (water, sea salt, brown rice flour*, vegetables in varying proportions* 11%: onion*, carrots*, CELERY*, roasted onions*, parsnips*, yeast*, sunflower oil*, turmeric*, parsley*, spices*, pepper*, laurel *, lovage*), onion*, nettles* 6%, tomato*, extra virgin olive oil*, lentils*, sea salt, cane sugar*, black pepper*. *ORGANIC. Tips Open it, warm it and eat it ... immediately ready to taste! 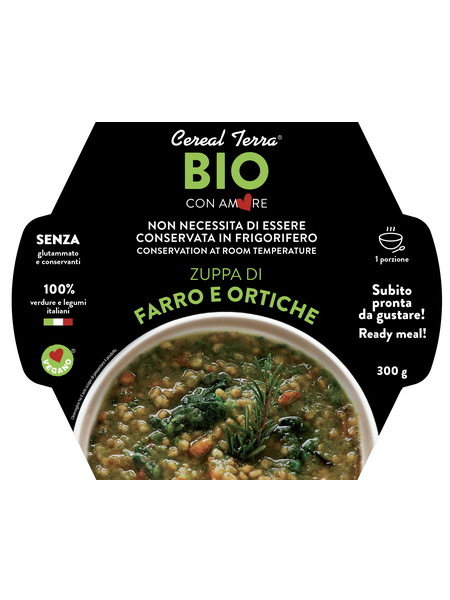 CEREAL TERRA S.R.L. - Via Ricardesco, 15/17 – 10073 Ciriè (TO) - Iscr. Reg. Impr. 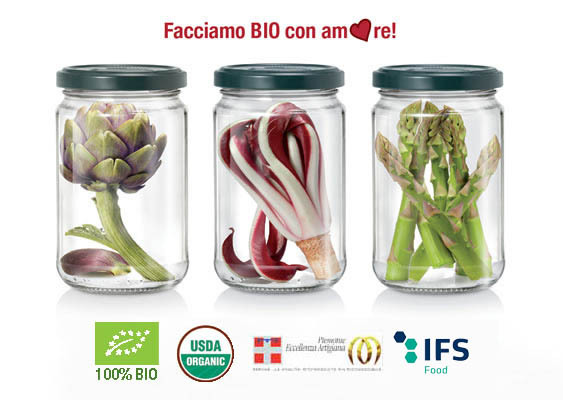 di Torino n.07647240014 C.F./P.Iva 07647240014 Cap. Soc. €25.000,00 i.v.